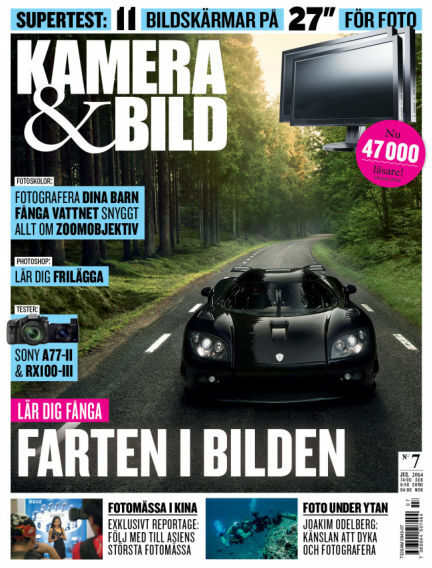 In this issue of Kamera & Bild : Tester: 27-tumsskärmar, Sony RX100 III, Sony A77 II. Artiklar: Undervattensfoto med Joakim Odelberg, bilbilder med Oskar Bakke. Skolor: Lär dig fota barn, Photoshop: frilägg som ett proffs, fota vatten i olika former. Reportage: Vi går på kinesisk fotomässa. Och mycket, mycket mer! With Readly you can read Kamera & Bild (issue 2014-07-08) and thousands of other magazines on your tablet and smartphone. Get access to all with just one subscription. New releases and back issues – all included.